PT Darma Henwa Tbk - Darma Henwa commonly abbreviated as "PTDH" is a reputable public-listed company in Indonesia, engaged in integrated coal mining industry. Since its establishment in 1991, Darma Henwa has core business competencies in mining contractor, general mining and maintenance of equipment. PTDH is listed on the Indonesia Stock Exchange under reference code of DEWA (listed since 26 September 2007). As of December 2017, the shareholders composition of PT Darma Henwa Tbk comprise of Goldwave Capital Limited (17.64%), Zurich Assets International Ltd (12.72%), and public (69.82%). Based in Jakarta, Darma Henwa now has 4 operational offices at Asam Asam Coal Project South Kalimantan, Bengalon Site Office East Kalimantan, Satui Site Office South Kalimantan and Balikpapan Office East Kalimantan. Darma Henwa also supported by 6 subsidiaries; PT DH Services, PT Dire Pratama, Prove Energy Investments Limited, PT Cipta Multi Prima, PT Rocky Investments Group,and PT Pendopo Energi Batubara. Darma Henwa’s performance in 2017 improved over the previous year. According to information found in PT Darma Henwa Tbk Annual Report 2017 as cited by JobsCDC.com, Darma Henwa managed to book total revenues of USD242.79 million in 2017, a decrease of 6.3% from USD259.09 million in the same period last year. As of the end of 2017, Darma Henwa was able to record total operating profit of USD16.74 millio. This number is an 100% increase as compared to USD8.37 million in the previous year. Profit for the Year 2017 also soared by 403.6% to USD2.77 million compared to USD0.55 million in the previous year. Minimum Vocational High School (SMK) majoring in Electrical, Mechanical. The candidates with work experience as maintenance supervisor for minimum 3 years is preferred. Strong understanding of mining procedure, product knowledge, failure analysis, and heavy equipment. Willing to be placed in all site area of Darma Henwa. Strong understanding of mining process, product knowledge, coal getting, heavy equipment. Possess certification in POP and TOT is preferred. Minimum Diploma / Bachelor degree (D3/S1) majoring in Mechanical Engineering, Mechanical Engineering of Heavy Equipment. The candidates with work experience as maintenance mechanic of mining heavy equipment for minimum 3 years is preferred. Strong understanding of mining procedure, HSE procedure, HRD procedure and regulation, specification of tools / unit. Strong understanding of Heavy Equipment Management System. Strong understanding of Computerized Mechanical Management Systems (CMMS). Able to maintain, repair, and troubleshoot Excavator unit: EX2500, EX2600, R9200, R984, EX1200, PC1250, PC400, PC300. Able to maintain, repair, and troubleshoot Auxilliary unit: D375, D155, D85, GR825, GR 705, GR 16 H.
Possess certification in POP is preferred. The candidates with work experience as Maintenance Mechanis of Heavy Equipment in Mining industry for minimum 3 years is preferred. Strong understanding of mining procedure, HSE procedure, HRD procedure and regulation, purchasing management, specify of unit/equipment. Strong understanding of Heavy Equipment Management System and Computerized Mechanical Management Systems (CMMS).. Able to maintain, repair, and troubleshoot Double Vezel: Volvo FH16. Able to maintain, repair, and troubleshoot Water Tank: Premover Iveco. . Able to maintain, repair, and troubleshoot Mercy Trintin. Minimum Senior High School / Vocational High School (SMA/SMK) majoring in Electrical, Automotive, Production Machine. Domiciled in South Kalimantan / Kalimantan is preferred. 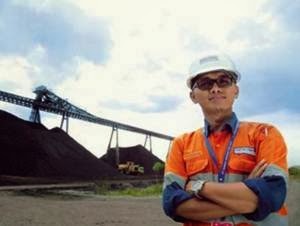 The candidates with work experienced as mechanic in mining industry is preferred. Strong understanding of mining procedure, HSE procedure, plant maintenance process, specify of unit/equipment. Have good skill of heavy equipment maintenance. Minimum 5 years of experience in the related field is required, preferably supervisor/coordinator specializing in Industrial Relation and External Relation or equivalent. Able to evaluate current CLA, Industrial Relation Procedure, Industrial Relation policies in order to ensure compliance with law and maintain a harmonious industrial relations climate. Previous experience in mining industry is preferred. Strong leadership and communication skill. Willing to placed in company head office. Willing to travel to all sites in any time. JobsCDC.com now available on android device. Download now on Google Play here. Please be aware of recruitment fraud. The entire stage of this selection process is free of charge. PT Darma Henwa Tbk - SMA, SMK, D3, S1 Trainer, Team Leader, Mechanic, Specialist PTDH November 2018 will never ask for fees or upfront payments for any purposes during the recruitment process such as transportation and accommodation.